The UK economy grew by only about 0.35 per cent in the third quarter, a weak rate by historical standards, monthly surveys of manufacturing, services and construction activity signal. Manufacturing, services, and construction companies have all underlined the dampening impact of Brexit on trading in the latest monthly surveys. The all-sector output index from the Chartered Institute of Procurement & Supply’s September surveys points to the second-weakest monthly growth rate since April. 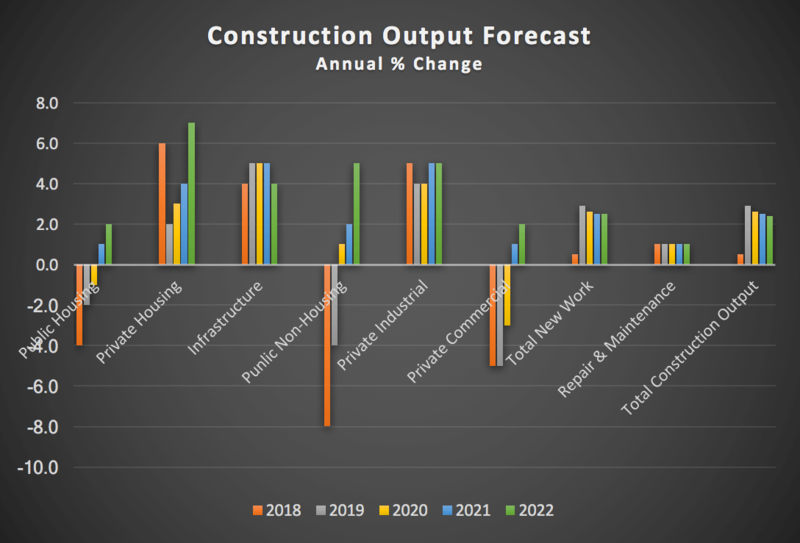 The overall rate of growth in construction activity has continued to reduce over the last 12 months in line with the reduction on overall GDP growth, with further reductions forecast for at least the next year or two, continuing the trend that started back in 2015. Market confidence, financial constraints, planning delays and restrictive regulations still represent the biggest factors affecting growth levels. According to the Office for National Statistics, employment in the construction industry rose by 1% over the last year. However, skill shortages also continue to be an issue across most professions and trades, the Construction Products Association (CPA) recently reported that 30% of contractors were experiencing difficulty in securing site trades, up from the 29% previously reported, with bricklayers (78%), carpenters (82%) and plasterers (63%) in particularly short supply. The latest RICS Market Survey reports that only 33% of the Quantity Surveyors responding are generally anticipating workloads to increase over the next year, 8% less than previously recorded. However, the picture in Scotland remains more positive with both workloads and employment expected to improve over the next 12 months. Contractors reported an decrease in capacity utilisation, with those working at / near capacity marginally down to 57%, from 58% in the previous quarter. The following forecasts are based on a middle of the road set of assumptions with regards to trade restrictions and access to labour. However, the figures could vary by +/- up to 5% per annum over the period of the forecast if the outcome of the Brexit negotiations are more or less onerous. Tender prices are expected to rise over the next 12 months following a return to modest growth during the last quarter of 2018. This is backed up by views expressed in the recent BCIS Contractors survey which indicated an expectation of rising tender prices over the next six months. 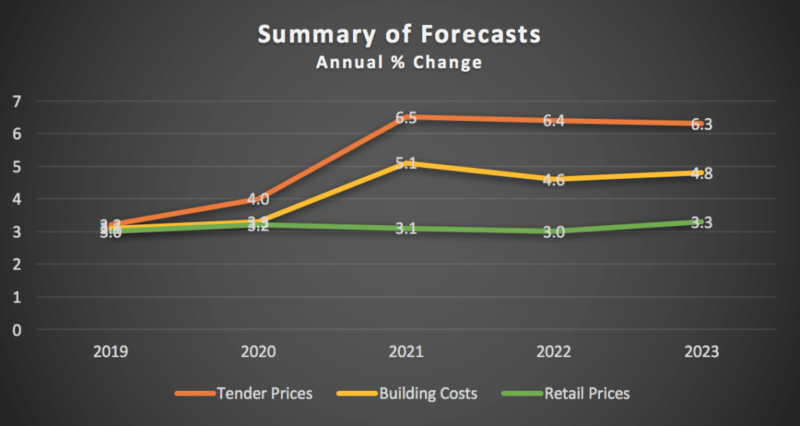 The forecast for the remainder of the forecast period indicates gradually strengthening tender price increases as there is a return to growth in most sectors, coupled with increasing wage pressure and rising input prices resulting from the reduced availability of labour. Building costs are expected to continue to rise over the next 5 years, with increases of 3% per annum for the next two years, increasing to 5% per annum over the following 3 years. This increase will be predominantly driven by the reduction in EU labour, faster rising material prices and wage demands resulting from improved demand. Materials prices rose by 0.7% in the last quarter and by 4.8% when compared with the previous year, increases of 3.5% per annum are currently forecast for the next 3 years. The recent increases being at least partially due to the falling value of Sterling against the Dollar and Euro. It is forecast that exchange rates will remain depressed until the end of the anticipated ‘transitional period’, improving thereafter with the consequential benefit for the cost of imported materials. Individual material prices generally moved between -1.0% and +2.0%, however steel reinforcement and sawn or planed wood joinery rose by 4%, imported plywood by 6% and steel by 10%. In contract, some materials have experienced recent price decreases with ready mixed concrete falling by 2.0% over the last quarter. Manufacturing input prices rose by 5.0% when compared with a year earlier. Output prices rose by 2.4% over the last year, with manufacturers now absorbing a smaller proportion of the increase in raw material prices. Wage awards are expected to be agreed at 3% per annum for the next 2 years, rising to 5.5% for the remainder of the forecast period. Overall, the forecasts continue to fluctuate regularly as there has been little further clarity on the likely trade situation following the withdrawal from the European Union over the past 3 months. Analysis of new work output over the last quarter showed an overall increase of 3%. Increases were seen in all sectors with the exceptions of the private industrial sector which fell by 5% and private commercial work which fell by 2%. Annual comparisons of new work output over the last year showed some sectors increasing between 3% and 5% but with an 10% increase for the private housing sector and 7% for infrastructure. Output fell in the other sectors, ranging from 5% for the private commercial sector to 11% in the public non-housing sector. Over the period of the forecast, new work output is expected to grow by approximately 0.25% less than forecast 3 months ago. A major fall in expenditure on big infrastructure projects led to a £1.5 billion drop in output by the Scottish construction sector in the third quarter, causing employment numbers to plummet by 5,000. 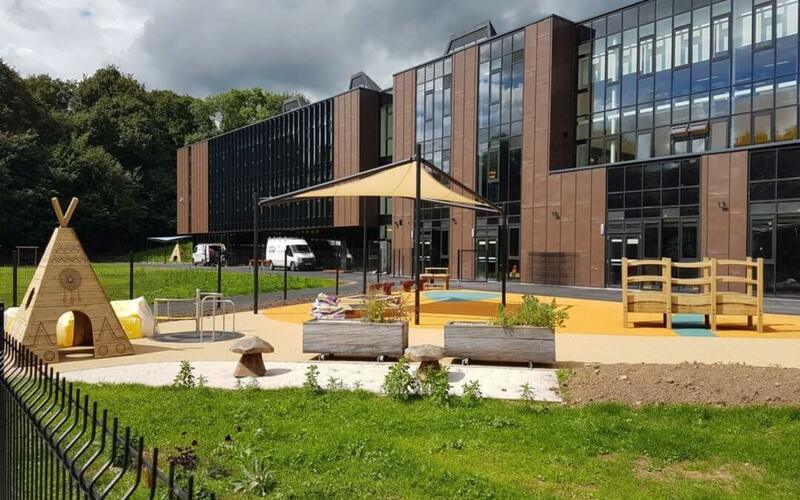 The Scottish Building Federation has said that a £300 million rise in output from the housing sector failed to offset the reduction in output from infrastructure, public sector new works and the private commercial sector. It would appear evident from the drop in output that there has been a significant amount of reduced or delayed investment by the private sector as the decisions over whether or not to invest are put on hold pending clarity on the economic position post Brexit. A return to modest output growth is still forecast for 2020 and picking in 2012 and beyond on the premise that the new infrastructure projects, particularly in the electricity, road and rail sectors proceed as planned, but there remains the possibility of further falls in the private housing, commercial and industrial sectors. Business confidence continues to fall with Scotland suffering a 20 percent drop in the last month according to the latest business barometer from the Bank of Scotland with Scottish firm’s overall confidence rated at -9%, down from +11% in November, making Scotland the least confident part of the UK, 26% below the UK average. Clearly market conditions will prove challenging in 2019 irrespective of the outcome of the Brexit process, with improvements only potentially being seen towards the end of next year and beyond.